Olivewood offers a range of lighting solutions for use in low temperature controlled storage environments. Our unique design uses a patented system to prevent heat generated by the light fitting from entering the controlled environment, greatly reducing the heat extraction requirement and thereby saving cost. It is also easy to install, has a very low profile within the cold area, contains no glass or Mercury and is virtually maintenance-free. All of the power supply and control gear is housed outside the cold store in an ambient temperature area, making it easily accessible. Chil-LED uses a unique heat pipe system to channel heat generated by its high power LEDs out through the ceiling of the cold store before it even enters the cold area. And because the heat never enters the cold store, it doesn’t need to be extracted again. That saves energy and money. The system that carries the heat also carries the power from the LED driver modules to the LEDs, which means that all of the wiring and control gear is situated outside the cold store. The Olivewood range of Tri-Proof LED luminaires provides ideal lighting solutions, not only for commercial, public and home use, but also for use in harsh operating environments. Resistant to damage from dirt and chemicals, physically robust and exceptionally water resistant, our complete Tri-Proof range is suitable for installation in both industrial and exposed exterior locations. 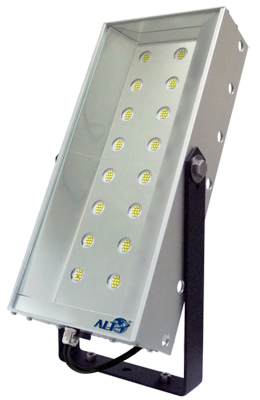 Every luminaire in this range is at least IP65 waterproof rated and IK08 impact resistance rated or higher. Designed to replace fluorescent tube fittings, the Olivewood Tri-Proof lighting range can deliver excellent energy savings, as well as reduced maintenance and improved light quality. 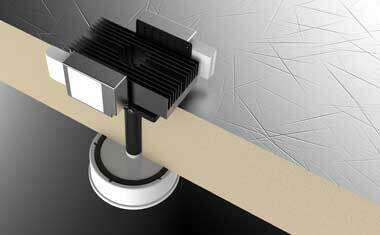 Olivewood develops dedicated lighting products for demanding applications. 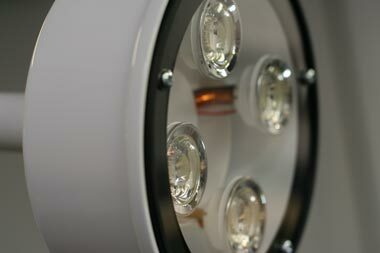 We design and develop innovative luminaires employing the latest light sources, control systems and thermal management technologies, resulting in genuinely unique technical solutions. Our range extends from niche industrial lighting fixtures, where performance, durability and full life cost are of paramount importance, to replacement digital projector lamps, where brightness, longevity and cost are key. Our Industrial lighting products are designed to work reliably and free of maintenance over long periods of time, particularly in the extreme environments where they are often used. The excellent reliability and efficiency of the latest generations of LEDs as a light source has led to their use in all of our light fittings and, in order to optimize the performance of the LED systems over time, we only source from the best LED driver and control systems manufacturers.